One of the more exclusive waterfront Saunderstown RI neighborhoods is the Plum beach RI coastal location. Just 10 minutes from Wickford Village within North Kingstown, this RI coastal real estate neighborhood is almost a village unto itself. With its own Saunderstown RI post office (one that is not closing down), it really is on the map! Plum Beach RI is like a sweet Georgia peach .... from a summer community of homes to upwards in the millions of dollars home price range... how sweet is it to own a home here?! From cottages to exclusive coastal Saunderstown RI homes, there are real estate choices for a wide range of home buyers. From Plum Beach Road through Lloyd Road to Spring Street and beyond, one can meander these coastal roads to find the luxury Saunderstown RI home location with house or tear down to rebuild. Tree lined and whimsical roads though tempt any home buyer with what is around the next corner. Homes needing renovation here do tend to go into multi bid offers because of the distinct Plum beach waterfront location! From the neighborhood tennis courts to the Plum Beach RI Club (membership fees here), the range of community activities is here for all to be a part of. A very inclusive and welcoming North Kingstown (Saunderstown is part of the town of North Kingstown) neighborhod to keep on your home radar. Looking for homes in Plum Beach RI? I would love the opportunity to help you in your search of RI coastal homes for sale in Saunderstown RI. Buying or selling Rhode Island coastal real estate can be a stressful process. You are best served with a Plum Beach specialist to show you around and help you drill down the neighborhoods where you might like to live. Knowing the waterfront real estate pitfalls to watch out for comes from my experience and extensive real estate training. When I list and sell Saunderstown RI homes for my clients I aim to make the experience less stressful. My goal is to provide great customer service to my sellers and buyers at all times. So call me Today at 401.529.7849. Plum Beach RI Real Estate | Waterfront Saunderstown RI. 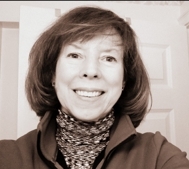 Ginny Lacey Gorman is a Rhode Island waterfront Real Estate Agent who works and knows the Saunderstown RI geographic area of homes for sale, schools, happenings and important tidbits of information well. Coastal, water view, ocean front, luxury and waterfront Rhode Island real estate are my specialty. If you are considering Buying, Selling or Relocating to Rhode Island and need a real estate Professional it would be my pleasure to help you! When you are in need of an internet savvy RI realtor® who sells homes in this real estate market, call Ginny today at 401.529.7849 or email her at Ginny@RiHouseHunt.com. Is There North Kingstown Affordable Home Construction?